You decided to leave 9, 10 or 11 days on the island of Reunion? The intense island, as it is nicknamed, promises you an exceptional holiday. To help you plan your trip and choose among the multitude of things to see in Reunion Island, I have concocted the ultimate itinerary to visit Reunion in 10 days. In a dozen days of road trip, you can have a good overview of the island and see its main places of interest . On the program, I propose: hiking in the circuses of Cilaos and Salazie ; a road trip to Cap Méchant ; an excursion to Piton de la Fournaise or a few days of relaxation in the seaside resort of Saint Gilles les Bains. For each step, also find our selection of the best accommodations. You will see, organize your stay will be super easy! 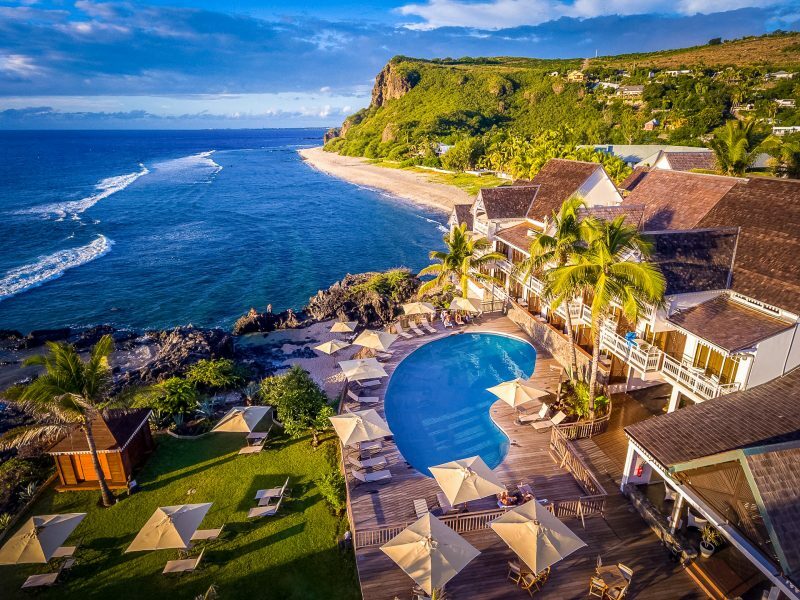 Discover immediately the ideal route to know what to do and see during a 10-day tour of Reunion Island! After a night spent on the plane, you arrive in Saint Denis, the capital of Reunion Island located to the north. I advise you to book your car rental in one of the rental agencies of the airport, to be able to recover it right away. To be able to compare prices in advance, only one reliable and serious site: Rentalcars.com. Their comprehensive insurance is also very effective in case of problems. I’ll talk about it in more detail at the end of the article! Then start this first day of this 10-day trip to Reunion by taking the road to Saint-Gilles-les-Bains, in the west. It will take you approximately 45 minutes by car from the airport. 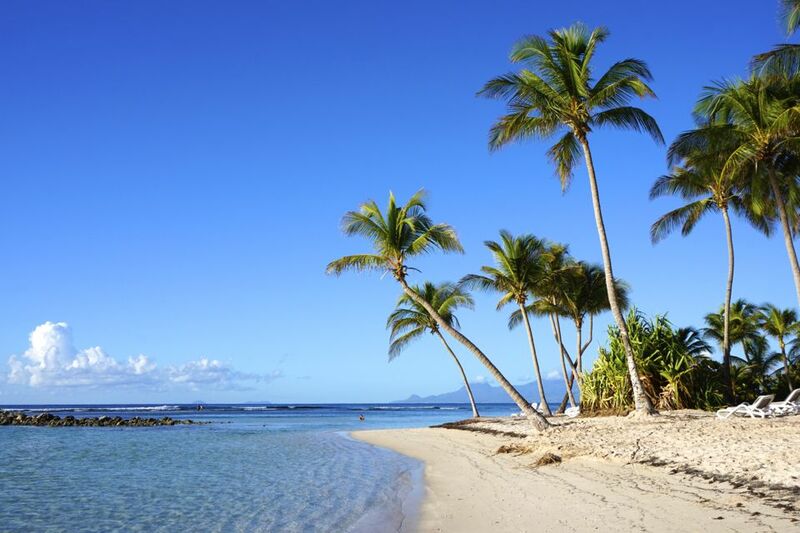 Saint-Gilles-les-Bains is the seaside resort trend of Reunion : it is impossible to get bored! Many shops and restaurants, lively streets, beaches and a small marina will allow you to have a good time. Upon arrival, drop your belongings in your accommodation and spend the day visiting the area and relax. What to do in Saint-Gilles-les-Bains for this first day? The next morning, we continue this road trip of 10 days to the island of Reunion by going to Cilaos. Cilaos is a charming little village located in the heart of the circus of the same name. There are three circuses in Reunion Island (wide circular plains surrounded by mountains and formed by the collapse of ancient volcanoes) and Cilaos is one of the most accessible (with that of Salazie). Reunion circuses are really unique and exceptional sites, and you really have to go see at least one. Impossible to miss this during your stay in Reunion! To get to Cilaos, you have to take the car and go through St. Louis, to then reach the only road that goes up to the village. This road is nicknamed “the road with 400 turns”, you will quickly understand why! Make a few stops to admire the views of the gorges and the mountains. Count about 1h30 to reach Cilaos from Saint-Louis. Park your car in one of the car parks in the village and start exploring. You can start with a visit of the village, through the tourist office to retrieve the map of hiking trails. Depending on your level and the time you have in front of you, you have the choice between about twenty different walks through the circus, many of which leave from the village by the Trail of the Bearers (near the church) or from the Mare to reeds. I suggest you spend 2 days visiting Cilaos, and spend a night in a guest house or B & B. During your hours of walking, you will discover a beautiful nature and exceptional landscapes. A delight and a total change of scenery! Before leaving Cilaos the next day at the end of the day, do not forget to have a look at the Wonderful Rock, if you have not done so already. The site is only a few minutes from the village. After having climbed a few steps, you will discover a 360 ° view of all the circus and the mountains that surround it. During this 10-day road trip to Reunion, take into account that the sun sets very early, around 17h / 18h. Go early in the morning for your hikes and outings. Otroiza Hotel: Located less than 15 minutes walk from Cilaos Circus. Double room well furnished and clean from 90 € per night, breakfast included. The most: the comfort of the bedding, the very complete breakfast with fresh fruit, the private parking. This is our heart stroke for its benefit / price ratio. For this third leg of this trip 10 days in Reunion Island, I propose a day road trip, to discover the south coast of the island along the coast. Go early in the morning to take your time and enjoy the different points of interest to see. From Saint-Gilles, take the road towards Saint-Pierre. The first stop that I propose to you is located in Etang Salé, on the level of the site of the Gouffre (the parking of the Gouffre is indicated by panels when you are on the main road of Etang Salé). The Chasm is a narrow corridor of rocks dug into the cliff, in which come rush and crashing violently waves. A hypnotic show that is worth the detour, especially when the ocean is unleashed. You can then go for a walk on the left, where a trail leads along the volcanic cliffs. 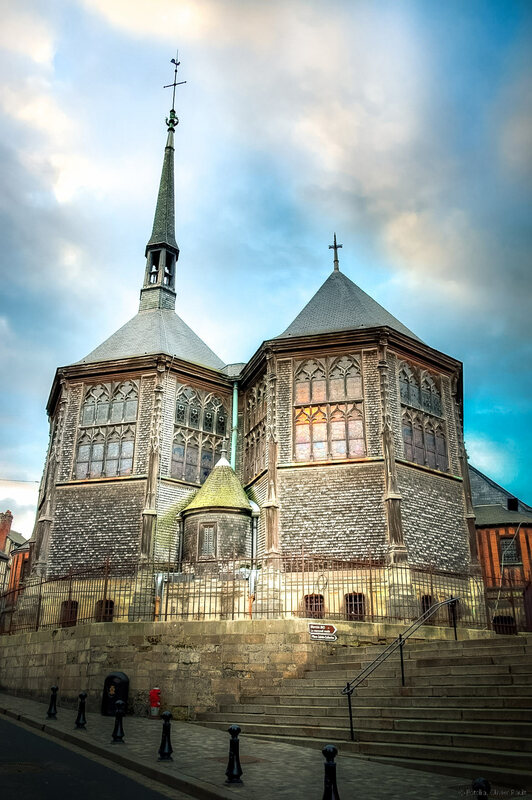 Then go back to Saint-Pierre, where you can also stop for a few moments to discover its colonial architecture, its market (open only on Saturday morning) or visit the botanical garden Café Grillé. By taking the coastal road after Saint-Pierre, you will then arrive at the beach of Grande Anse, one of the most beautiful beaches of the island. It is the ideal place to rest under the coconut trees, picnic and admire the waves (unfortunately, swimming is prohibited because of sharks). Only a few minutes drive from Grande Anse, the small town of Manapany is also worth a look, and it is possible to swim in its natural pools! In the early afternoon, take the road to Saint Joseph until you reach a road that goes north along the Langevin River. Follow this road to reach the waterfall Grand Galet (also called Langevin waterfall), one of the most beautiful and imposing waterfalls of Reunion. Stop for a swim and enjoy the scenery. Then go down again on the road of the littoral then continue towards Saint Philippe. Make a stop at Naughty Cape to admire the rugged beauty of the area and the steep black cliffs against which the waves of the ocean are throwing themselves violently. It is also the swell, always very strong at this place, which gave its name to Cap Méchant. After passing Saint Philippe, you are awaiting the highlight of this day’s show: the Route des Laves. The change of atmosphere and landscape is clear: here you are suddenly surrounded by huge expanses of dry lava, gray-black, the summit of Piton de la Fournaise in the background to the left and the sea to the sea. horizon on the right. For the night, it is best to stay in Saint-Pierre, the most convenient to go on an excursion to Piton de la Fournaise the next day. The Plantation “lagoon side”: Located right at the seaside, with direct access by the garden. Double room, all with a terrace with sea view and pool from 150 € per night, breakfast included. The most: the pool, the jacuzzi, the view, the decor of the rooms, the breakfast with cakes, smoothies and yogurt houses. This is our favorite for his report service / price in Saint-Pierre! Another essential place of this circuit of 10 days in Reunion: Piton de la Fournaise. Impossible to visit the island in 9, 10 or 11 days without spending at least a day climbing the volcano and discovering the incredible landscapes that lead to its summit! To get to the top of the volcano, take the car and go through the Tampon, then follow the signs until you reach the House of the Volcano. Take the unique road up to the top of the volcano and enjoy the trip. The volcano road is particularly beautiful. The higher you go, the more the landscapes change, become dry and become desert. Take time to stop often and enjoy the beautiful views of the valley below, and views above the clouds. After several minutes of climb, at the turn of a bend, you will suddenly discover a lunar landscape. You arrived at Plaine des Sables, the last stop before the summit. The Plaine des Sables is an immense desert expanse of sand and gray-red rocks. It’s super impressive, it’s like being on another planet. You then arrive at Pas de Bellecombe, the starting point for several hikes that lead to the craters. Parking makes it possible to park the car safely. The Piton de la Fournaise is protected by a paddock, which is open to the public most of the time but closed during periods of eruption. Once your car is parked, go explore the surroundings. The trek to the main crater lasts 6 hours round trip. Another circuit allows to go around the volcano in 4 hours round trip. There are also other shorter walks all around the volcano. 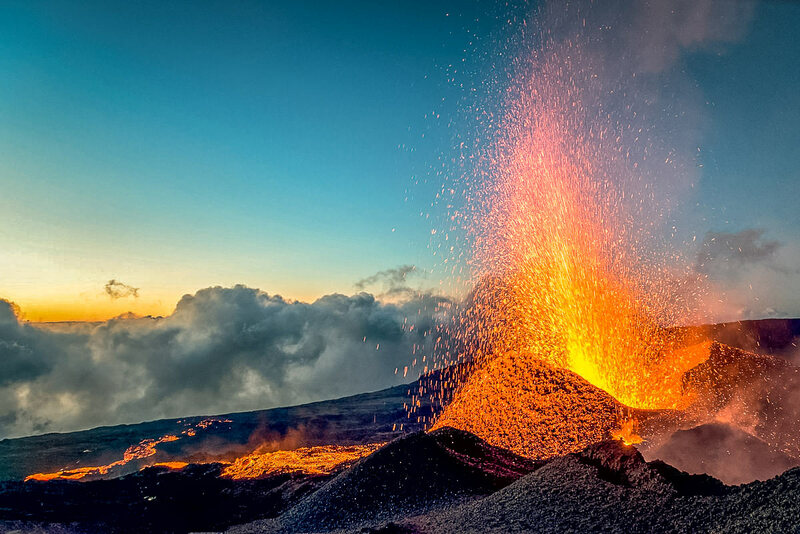 If you have the chance to be in Reunion during the eruption of the Piton de la Fournaise, do not miss the night out to see the geysers and the lava flows that escape from the crater. This night hike is an exceptional experience to do during your 10 days vacation on the island of Reunion. To avoid redoing too much road at the end of the day at Piton de la Fournaise, choose to sleep nearby. So you will also be close to your next day step. During the climb to the Pas de Bellecombe, do not miss to stop at the crater of Commerson, 2 or 3 kilometers after the point of view on the Rivière des Remparts. The crater is located about 100 meters from the sign indicating its location. It is a crater deeper than 200 meters, a vertiginous gulf that is worth a look. This route offers to climb up to the Piton in one day by car but it is also possible to make the whole climb up to the summit on foot, in several days, sleeping in the lodgings of stages or on camping sites set up along the volcano road. Volcan side: Located in the plain of Cafres, 5 minutes from the house of the volcano. This brand new accommodation offers spacious double rooms from 70 € per night, breakfast included. The most: the location, the kindness of the owners and their advice, the super breakfast. This is our favorite for its benefit / price ratio in the vicinity of Piton de la Fournaise. ti kaz Martin De O Reunion: Also located in the plain of Cafres, 3.5 km from the house of the volcano. Fully equipped holiday house of 60 m² for 6 people from 90 € per night. The most: the large capacity of reception, the calm environment. beautiful life: At the plain of the cafes, 2.5 km from the house of the volcano. House with 2 bedrooms from 120 € per night. Very well equipped with a terrace and even a sauna. The most: the geographical situation, the garden. Ideal for a stay with family or friends next to the Piton de la Fournaise. For this sixth stage of your 10 days stay in Reunion, I propose you a relaxing day in the forest of Bébour. This primary tropical forest is one of the largest and most beautiful forests on the island. It is located in the Plaine des Palmistes. Count about 4 hours of visit to enjoy the place. 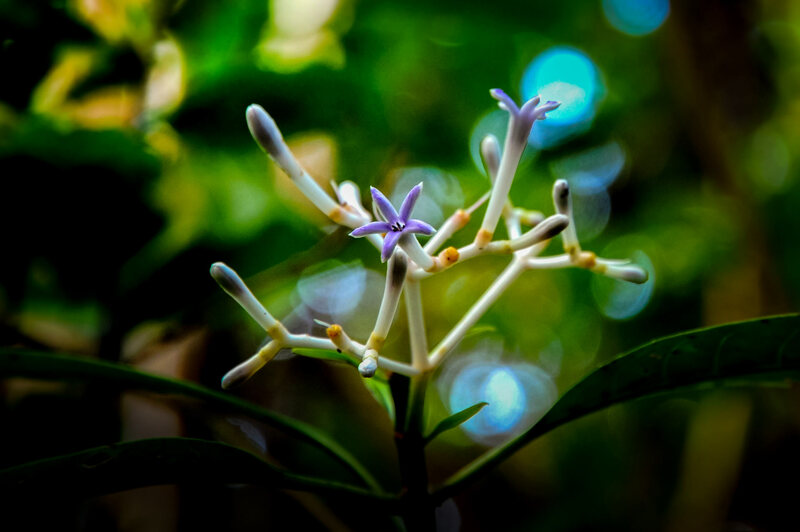 Several hiking trails allow you to explore the forest and discover the local flora in a calm and soothing atmosphere. from the Bélouve gîte, hike to the Trou de Fer waterfalls, passing by the Cavalière Alley (4 hours of walk back and forth). 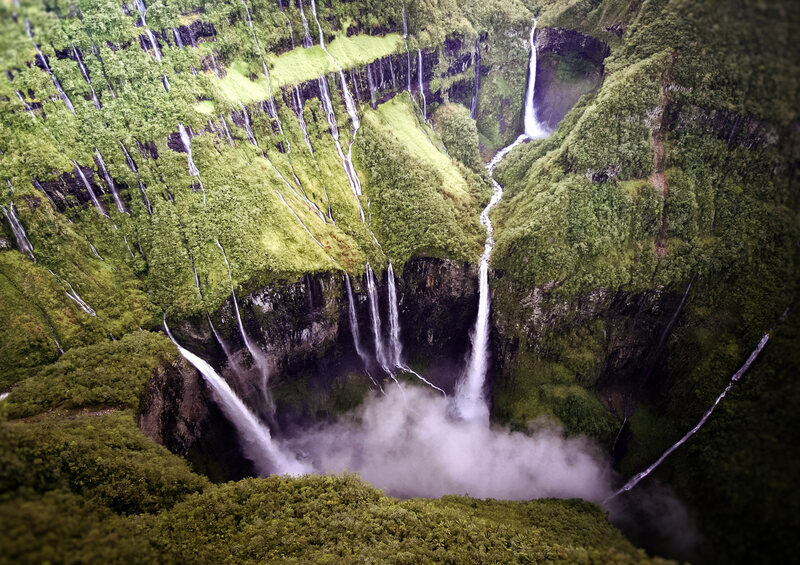 The Trou de Fer waterfalls are nicknamed the Niagara Falls of Reunion and the view over the falls from the forest is really beautiful. In the evening, spend a second night in your accommodation. To get to the waterfalls, you can park your car in the parking lot of Bélouve’s cottage and then follow the path of Allée Cavalière. At some point, you will come across a path marked “Iron Hole”. I advise you to avoid this direction and continue on the Allée Cavalière, because the path of “Trou de Fer” is very very muddy. You will make a small detour but will arrive much cleaner at Belvédère which overlooks the waterfalls. It is often wet in this corner of the island, with the risk of showers. So think about warm, waterproof clothes for the day (and the anti-mosquito lotion!). 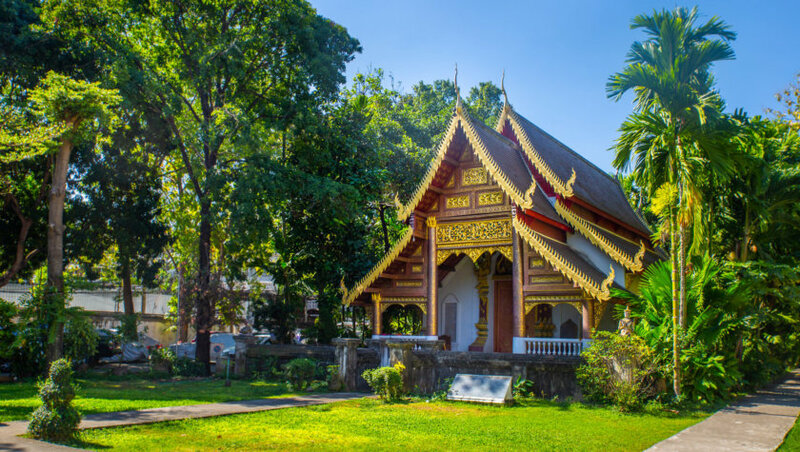 The circus of Salazie, like that of Cilaos, is a must on a 10-day itinerary in Reunion. Since you have the chance to make a road trip on the island of Reunion, I advise you to spend 3 days visiting Salazie. Like Cilaos, and unlike the circus of Mafate, the circus of Salazie is easily accessible by car. It’s the wettest and greenest circus of the three, with lots of streams and waterfalls. There is so much to see in Salazie that three days and two nights will not be too much! To get there, it will be necessary to pass by Saint-Benoit and Saint-André to be able to join the only road which leads to the interior of the circus (the RD48). It is also a beautiful road with many views of the gorges and waterfalls. Count about 20 minutes from Saint Andrew to get to the village of Salazie. Like all circuses in Reunion, the exploration of Salazie is done on foot. There are a lot of trails to go. These 3 days will consist mainly of walks to discover the wild nature and cultural heritage of this exceptional site. You will have the choice between more than twenty different courses, more or less long and rough, starting from Salazie, Grand Ilet or Hell Bourg. 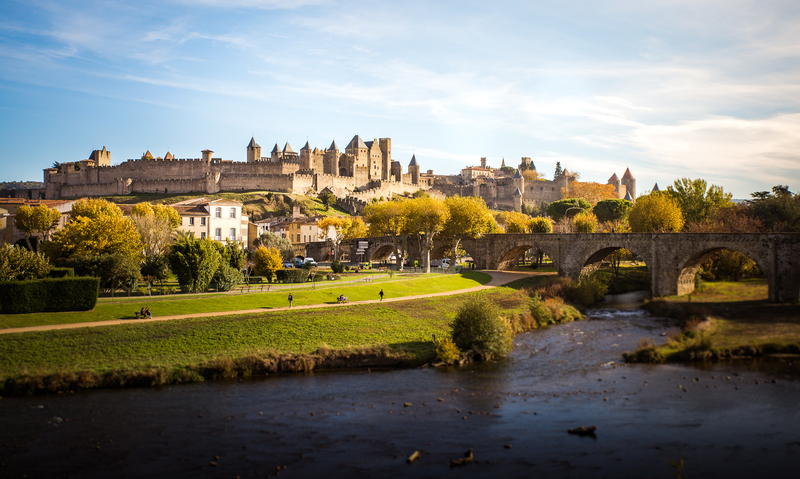 During your stay in Salazie, do not forget to go through the pretty village of Hell Bourg, one of the most beautiful villages in France with its picturesque streets dating from the 19th century, its pretty creole houses and colorful cemetery . From Hell Bourg, you will have access to the waterfalls of Trou de Fer via the path of the Normal School. You can also discover the old baths or visit the Morange Museum to learn all about the music of the Indian Ocean. Salazie, the kingdom of waterfalls, also houses in its heart the most famous waterfall of the island: the waterfall of the Veil of the Bride. It is visible from the road of Hell Bourg and can also be reached in 1h30 walk by a path that starts from the village of Salazie. To join the Veil of the Bride from the village of Salazie, go to the car park of the bus stop Château d’Eau(from which you have a first point of view on the waterfall), then follow the signs which indicate the direction of the waterfall. To join the waterfall of the Sail of the Bride since Salazie, it is necessary to cross several times the bed of the river, so plan waterproof shoes. And why not also the swimsuit to be able to swim in the basin of the waterfall on arrival! There is very little housing in Salazie and around (less than a dozen during my research! ), So a tip, book in advance! The white p’ti “o”: Located in the village of Hell Bourg. Bright and warm double room from 60 € per night, breakfast included. The most: the location, the homemade breakfast. Bed and Breakfast Rose Orchid: Located in Hell Bourg. Double room in a typical Creole house from 70 € per night, breakfast included. Most: the view of the Piton des Neiges, the pleasant garden, the setting. Le Relais des Cimes: Also located in the heart of the village of Hell Bourg, in Salazie. Double room overlooking the mountains and the village from 90 €, breakfast included. The most: the warm welcome, the delicious Creole meals, the quality of the breakfast, the ideal location for hiking. It is already the seventh and last stage of your stay in Reunion. 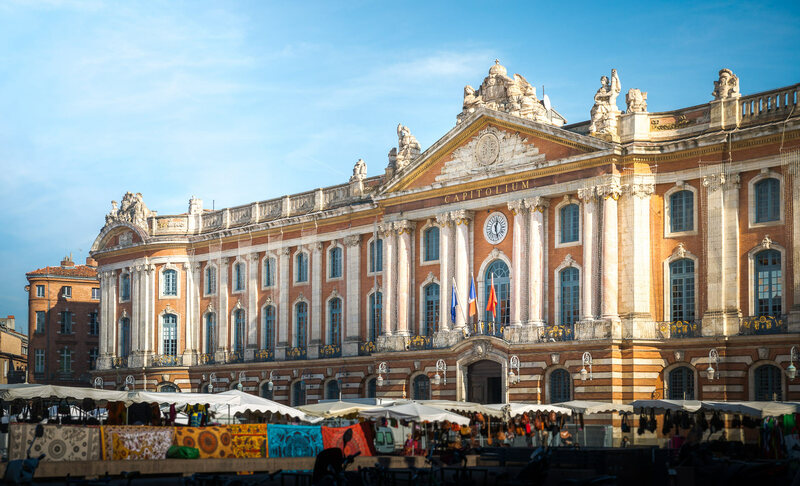 Whether you take the plane the same evening or the next morning, I advise you to spend your last day in the vicinity of the seaside resort of Saint-Gilles. This is the opportunity, to finish the stay in beauty, to discover the beaches and the heights of Saint Gilles. 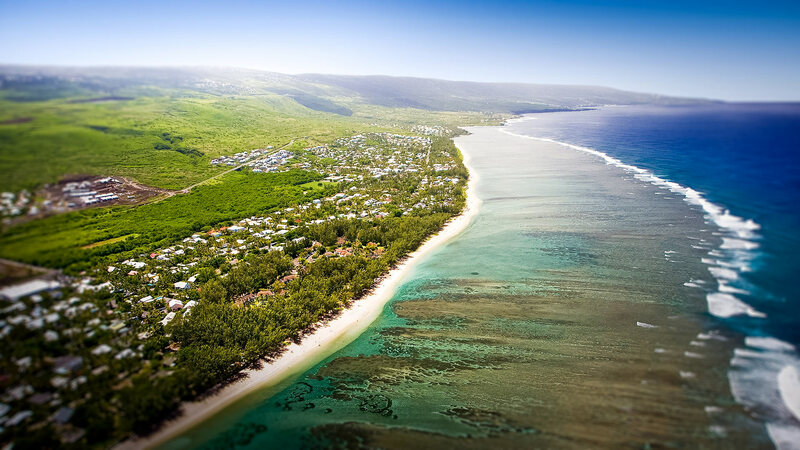 Your 10 – day vacation in Reunion Island is over and it ‘s time to fly back to Paris … or Mauritius if you have the chance to continue your holidays in the Indian Ocean! 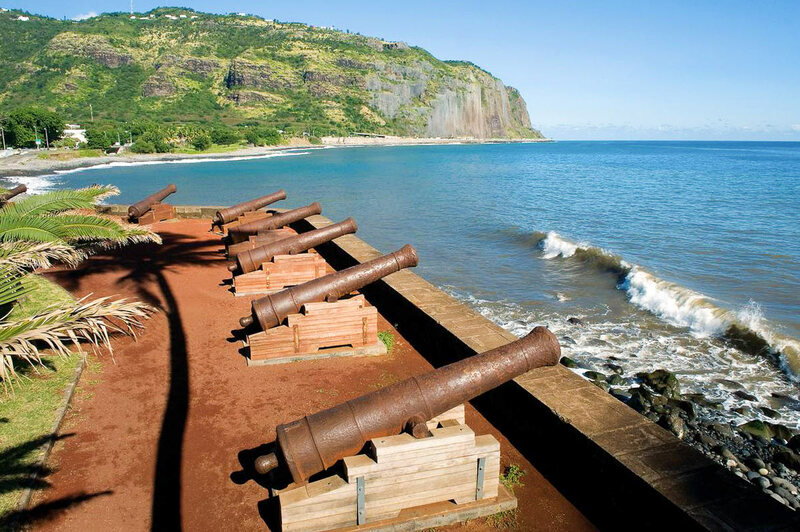 If so, do not forget to check out our itinerary suggestions in Mauritius so you do not miss anything. Benefit from the insurance “complete protection” (optional of course) less expensive than that which propose to you the renters. In case of damage, you will be covered! About me, I use this site all the time! If you know your travel dates to Reunion, I recommend you book now to get the car you want at the best price. Compare the prices of rental cars in Reunion now! To help you view your itinerary, I have made a map of all the places you will visit in 9 or 10 days on the island of Reunion. The Reunion airport is located in Saint-Denis (in red on the map). You can display the legend by clicking the button with a small arrow at the top left of the map.